Meta-analysis of data on all-cause mortality in 18 randomized controlled trials with vitamin D. SRR indicates summary relative risk. Can Vitamin D Reduce Total Mortality? Background Ecological and observational studies suggest that low vitamin D status could be associated with higher mortality from life-threatening conditions including cancer, cardiovascular disease, and diabetes mellitus that account for 60% to 70% of total mortality in high-income countries. We examined the risk of dying from any cause in subjects who participated in randomized trials testing the impact of vitamin D supplementation (ergocalciferol [vitamin D2] or cholecalciferol [vitamin D3]) on any health condition. Methods The literature up to November 2006 was searched without language restriction using the following databases: PubMed, ISI Web of Science (Science Citation Index Expanded), EMBASE, and the Cochrane Library. Results We identified 18 independent randomized controlled trials, including 57 311 participants. A total of 4777 deaths from any cause occurred during a trial size–adjusted mean of 5.7 years. Daily doses of vitamin D supplements varied from 300 to 2000 IU. The trial size–adjusted mean daily vitamin D dose was 528 IU. In 9 trials, there was a 1.4- to 5.2-fold difference in serum 25-hydroxyvitamin D between the intervention and control groups. The summary relative risk for mortality from any cause was 0.93 (95% confidence interval, 0.87-0.99). There was neither indication for heterogeneity nor indication for publication biases. The summary relative risk did not change according to the addition of calcium supplements in the intervention. Conclusions Intake of ordinary doses of vitamin D supplements seems to be associated with decreases in total mortality rates. The relationship between baseline vitamin D status, dose of vitamin D supplements, and total mortality rates remains to be investigated. Population-based, placebo-controlled randomized trials with total mortality as the main end point should be organized for confirming these findings. Ecological studies in North America have suggested that mortality from several potentially life-threatening chronic health conditions such as cancer, cardiovascular diseases, and diabetes mellitus would increase with increasing latitude, that is, with residence increasingly distant from the equator.1,2 Other studies have shown that the survival of patients with cardiovascular disease or with some cancer (eg, lung, colorectal, and breast cancer) was greater if the diagnosis was made during summer as compared with the winter.3,4 Increasing distance from the equator and winter period were equated to decreasing exposure to sunlight, especially to UV-B radiation (280-315 nm) because with increasing latitude, amounts of UV-B radiation reaching the earth surface decrease faster than amounts of UV-A radiation (315-400 nm).5 Also, seasonal variations are more pronounced for UV-B radiation than for the UV-A radiation.5 Because UV-B radiation is necessary for the synthesis of vitamin D in the skin, it has been hypothesized that associations found between latitude or seasonality and mortality from several chronic conditions could be owing to variations in vitamin D status.6-10Some food products may also represent a source of vitamin D, although of highly variable content (eg, fortified foods, oily fish, eggs, and butter). Hence, low vitamin D status could proceed from the conjunction of insufficient intakes (exogenous source) and of insufficient skin synthesis (endogenous source) of vitamin D. Biological findings have reinforced the likelihood of the vitamin D hypothesis. First, vitamin D receptors have been found in various organs, and activation of these receptors by 1α,25 dihydroxyvitamin D3 (calcitriol), the physiologically active form of vitamin D, induces cell differentiation and inhibits proliferation, invasiveness, angiogenesis, and metastatic potential.11,12 These biological phenomena are typical of cancer genesis and some of them (eg, differentiation and proliferation) are also involved in cardiovascular ischemic diseases. Second, many tissues express the 1α-hydroxylase enzyme.11 So, after 25-hydroxylation of vitamin D in the liver, many cell types are able to convert the circulating 25-hydroxyvitamin D into 1α,25-dihydroxyvitamin D, and autocrine or paracrine production of 1α,25-dihydroxyvitamin D would depend on serum concentration of 25-hydroxyvitamin D.
In industrialized countries, cancer, cardiovascular diseases, and metabolic disorders such as diabetes mellitus account for 60% to 70% of deaths among subjects 50 years or older.13,14 If the associations made between vitamin D and these conditions were consistent, then interventions effectively strengthening vitamin D status should result in reduced total mortality. In this meta-analysis, we examined the risk of dying from any cause in subjects who participated in randomized trials testing the impact of vitamin D supplementation (ergocalciferol [vitamin D2] or cholecalciferol [vitamin D3]) on any health condition. The study design was the quantitative synthesis of randomized controlled trials that could contribute to evaluating the impact of vitamin D supplementation on death from any cause. The outcome of this analysis was total mortality;the supplementation evaluated was vitamin D2 (ergocalciferol) or vitamin D3 (cholecalciferol). Calcitriol and other vitamin D analogues have seldom been tested for prevention purposes. The few small trials that used these compounds for fracture prevention reported a total of 20 deaths from all causes and demonstrated their toxic effects, mainly hypercalcemia.15 We did not include trials that evaluated treatment with 1α-hydroxyvitamin D3 (alfacalcidol), the physiologically active form of vitamin D (1α,25-dihydroxyvitamin D3 [calcitriol]), or other vitamin D analogues in patients with advanced prostate cancer, chronic renal disease, or end-stage renal disease or in patients undergoing renal dialysis. The search was carried out for clinical trials, and no language or time restrictions were applied. The literature up to November 2006 was searched using the following databases: PubMed, ISI Web of Science (Science Citation Index Expanded), EMBASE, and the Cochrane Library. For intervention, the following keywords or corresponding MeSH terms were used: vitamin D, cholecalciferol, and ergocalciferol. For methods, the following keywords and or corresponding MeSH terms used were randomized controlled trial and placebo. A first general search was done using combinations of keywords for intervention and for method. After that, we made searches using combinations of intervention keywords with the following outcome keywords (and their corresponding MeSH terms): congestive heart failure, coronary heart disease, cardiovascular disease, fracture, bone mineral density, and bone turnover. Mortality was not a helpful keyword because none of the trials with vitamin D supplements, except for 1 trial in the United Kingdom,16 had mortality as an end point. The search for keywords in the title and in the abstract was done systematically. A manual search was done of references cited in the selected articles and in selected reviews or books. Any abstract or article whose title or summary contained at least 1 intervention keyword and 1 method keyword or 1 intervention keyword and 1 outcome keyword was retrieved and read. To represent the principal published report on a randomized controlled trial evaluating an intervention with vitamin D. The addition of calcium supplements in the intervention group and the absence of a placebo for vitamin D in the control group (ie, an open-label trial) were not exclusion criteria. To be independent from other studies to avoid giving double weight to estimates derived from the same trial. To have deaths from any cause reported separately for the intervention and the control groups. If in an article the number of all-cause deaths was not reported by treatment group, we tried to contact corresponding authors to obtain the missing information. To have subjects randomized to the intervention and control groups on an individual basis. Cluster randomization (eg, a nursing home taken as a randomization unit) was not valid because mortality in a specific cluster could be increased by a health event (eg, an influenza epidemic) affecting this cluster and not the others. To have sufficient information to allow adequate estimation of the relative risks (RRs) and 95% confidence intervals (CIs) (ie, crude data or adjusted RRs and standard errors, 95% CIs, or P values) to estimate mortality risk after vitamin D intake vs placebo or control. One article27 compared an open-label trial with a subgroup of the placebo-controlled RECORD (Randomised Evaluation of Calcium Or vitamin D) trial.28 We used the data from the open-label trial and not from the subgroup of the RECORD trial to have independent studies. For the open-label trial, we took the numbers of deaths at the end of the follow-up that were mentioned in another report.15Table 1 summarizes the 18 studies that were used for the meta-analysis. In most of the selected studies, mortality was a relatively rare event, and we therefore ignored the distinction between the various measures of relative risk (ie, odds ratio, rate ratio, and risk ratio). We transformed the RR estimates and their CIs into log RR, and we calculated the corresponding variance using the formula proposed by Greenland44 in 1987. When estimates were not given, we calculated them from tabular data, and we used the Woolf formula to evaluate the standard error of the log odds ratio.44 Logit estimators were used for a correction of 0.5 in every cell of those tables that contained a zero (Proc Freq with SAS [SAS Windows version 8.02; SAS Institute Inc, Cary, North Carolina; 1999]). The association between intake of vitamin D supplements and all-cause mortality across selected trials was computed as a summary RR (SRR) with 95% CIs. The SRR was considered statistically significant if the 95% CI did not include 1.0. The main meta-analysis was carried out on 18 independent randomized controlled trials with individual randomization (Table 1): 12 placebo-controlled and 6 open-label trials. The numbers of trial participants varied from 55 to 36 282. Mean follow-up varied between 6 months to 7 years, with a mean of 5.7 years after adjustment for trial sizes. The mean daily dose of vitamin D supplements varied from 300 IU18 to 2000 IU,41 but most of the daily doses were between 400 IU and 833 IU. When taking trial sizes into account, the mean daily vitamin D dose was 528 IU. Table 2 indicates a substantial increase from baseline levels of serum 25-hydroxyvitamin D levels in intervention groups, while levels tended to decrease in control groups, translating to a 1.4- to 5.2-fold difference in serum 25-hydroxyvitamin D level between intervention and control groups. However, increases from baseline levels and in-study differences between intervention and control groups seemed unrelated to daily dose taken. Compliance with taking vitamin D supplements in the largest trials (see “Trials With Decent Statistical Power” in the Figure) was 48% in the RECORD Trial,28 59% in the Women's Health Initiative trial,42,43 63% in the trial by Porthouse et al,39 68% in the trial by Ficker et al,40 79% in the trial by Meyer et al,34 80% in the trial by Trivedi et al,16 83% in the trial by Chapuy et al33 in 2002, 85% in the trial by Lips et al,30 and 95% in the trial by Chapuy et al29 in 1992. The 18 trials included 57 311 participants, and 4777 deaths for any cause occurred during follow-up. The Figure shows for each selected trial the RRs of dying from any cause associated with taking vitamin D supplements. The SRR synthesizing results of the 18 trials indicated a significant decrease in the risk of all-cause mortality with using vitamin D supplements (SRR, 0.93; 95% CI, 0.87-0.99). There was no indication for heterogeneity (P = .52) or of publication bias (P = .37 with the method of Copas and Shi47 and P = .77 with the method of Macaskill et al48). A subgroup analysis (Table 3) shows no appreciable change in SRR according to trial duration and dose of vitamin D supplements.Calcium supplements seemed not to be involved in the total mortality decrease, as the SRRs remained similar in trials with or without calcium supplements as part of the intervention. Exclusion of the quasirandomized trial34 did not affect results. Inclusion of 1 cluster-randomized trial25 increased the SRR but also brought substantial heterogeneity. In this respect, exclusion of this trial was justified. Results of this meta-analysis of randomized controlled trials suggest that intake of vitamin D supplements may decrease total mortality during trial duration. 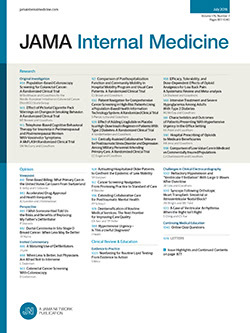 Publication bias toward concealment of trial results showing no impact of vitamin D supplements on all-cause mortality is not likely because total mortality did not constitute a main end point for any of the 18 trials included in the meta-analysis except 1.16 Timing of deaths during trials was never reported, and we thus could not assess whether exclusion of deaths occurring during the first year of follow-up would have modified the SRRs. The effect on mortality was not likely to be due to calcium supplements, since the 5 trials that did not include calcium supplements in the intervention group16,29,34,35,40 had an SRR similar to those found with trials that included both vitamin D and calcium supplements. No relationship was found with dose of vitamin D supplements, but in most trials, the daily dose range was relatively narrow (ie, 400-830 IU), and large variations in size of trials and in compliance to interventions preclude any conclusion on optimal vitamin D daily dose associated with mortality reduction. Most trials included in the meta-analysis were conducted in frail elderly people who are at high risk of fall or of low-energy fracture, who often have low serum 25-hydroxyvitamin D levels. Vitamin D is known to increase postural stability and to reduce fall incidence by 22% in elderly subjects, but about 15 elderly people must take vitamin D supplements for avoiding 1 person from falling.49 Such an effect cannot translate to a 7% decrease in total mortality. Also, the Women's Health Initiative,42,43 which accounted for nearly half of the participants considered in this meta-analysis, included younger women with a low probability to die because of falls. Vitamin D regimens used in trials ranged from 300 to 833 IU, and most vitamin D supplements publicly available include a daily dose of 400 IU to 600 IU that entailed no toxic effects. Serum concentration of 25-hydroxyvitamin D is considered as a good reflection of skin synthesis and food intakes of vitamin D.50 Data from 9 trials showed that the intake of vitamin D supplements resulted in increases in serum 25-hydoxyvitamin D levels. Such data were not available for the other trials, including the Women's Health Initiative.42,43 It was thus not possible to assess from this meta-analysis whether a correlation exists between the magnitude of mortality reduction and the difference in circulating 25-hydroxyvitamin D.
A meta-analysis of randomized trials on supplementation with beta carotene, vitamins A and E, ascorbic acid, and selenium found an increased RR for all-cause mortality of 1.06 (95% CI, 1.02-1.10) associated with the taking of these supplements.54 A randomized controlled trial of the Women's Health Study found no effect of supplementation with 600 IU/d of vitamin E on total mortality.55 These results are contrasting with the results from our meta-analysis on vitamin D supplements. Our results also provide reassurance that at ordinary doses, long-term vitamin D supplementation does not seem to be associated with an overall adverse effect. In conclusion, the intake of ordinary doses of vitamin D supplements seems to be associated with decreases in total mortality rates. The relationship between baseline vitamin D status, dose of vitamin D supplements, and total mortality rates remains to be investigated. Population-based, placebo-controlled randomized trials in people 50 years or older for at least 6 years with total mortality as the main end point should be organized to confirm these findings. Correspondence: Philippe Autier, MD, International Agency for Research on Cancer, 150 cours Albert Thomas, F-69372 Lyon CEDEX 08, France (autierp@iarc.fr). Accepted for Publication: April 18, 2007. Author Contributions: Drs Autier and Gandini had full access to all of the data in the study and take responsibility for the integrity of the data and the accuracy of the data analysis. Study concept and design: Autier. Acquisition of data: Autier and Gandini. Analysis and interpretation of data: Autier and Gandini. Drafting of the manuscript: Autier. Statistical analysis: Gandini. Administrative, technical, and material support: Autier. Study supervision: Autier. Additional Contributions: The librarians William Russel-Edu of the European Institute of Oncology and Sharon Grant from the International Agency for Research on Cancer retrieved the literature. John Daniels of the International Agency for Research on Cancer provided editorial help. This article was corrected for typographical errors on 9/17/2007.